Kasey advises Electrical Engineering, Computer Engineering, and Software Engineering students! Kasey is here to help with questions about schedule, academics, course work, academic recovery coaching, and assists in finding resources to meet student needs to be successful at UNL! She started at UNL as an Academic Advisor in June 2015. 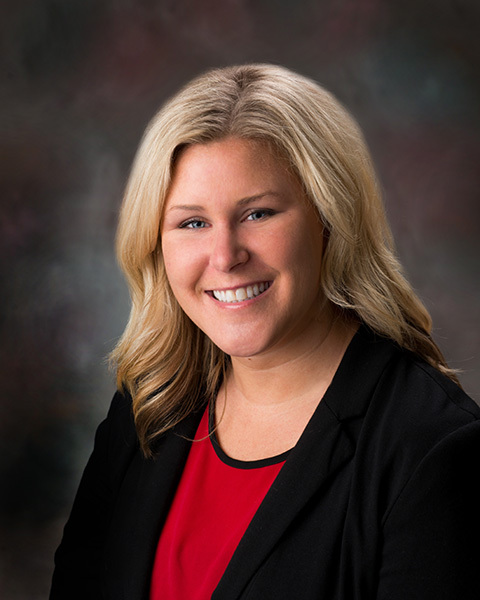 Prior to moving to Nebraska, she completed a Master’s Degree in Postsecondary Education: Student Affairs from the University of Northern Iowa. Kasey can relate to transfer students as she was a Community College transfer student. She holds an AA Degree from Kirkwood Community College and a Bachelor’s Degree from UNI. Kasey recently got married to her husband, Jordan in October 2016. She is enjoying getting settled in her new house in Northwest Lincoln!